so do our canine companions. Take for example our young Maltese, Chicki. As an ‘only’ dog, at home she misses out on contact with other four-legged friends. Out and about, though, it’s a different story. Although she’s choosy, she has several furry comrades. Meet Kelvin! He’s a strong, ruggedly handsome Kelpie: his manners are impeccable. Exuding charm, his calm demeanour makes him an ideal pal for our young lady. They often rendezvous by the river, and watch, enthralled, the goings-on of everyone: human and animal. And there’s more to their bond that meets the eye. 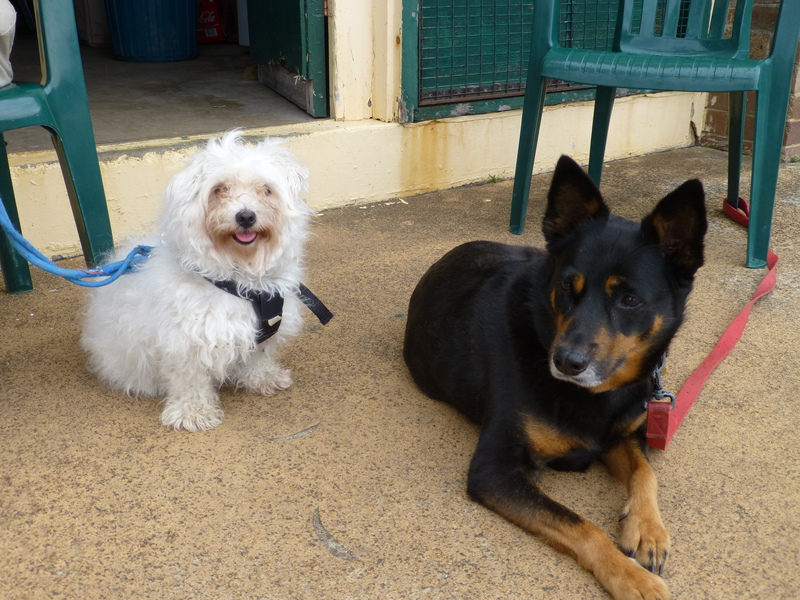 Both Kelvin and Chicki are ex RSPCA dogs: they’ve known another life. Is it any wonder they’re so chummy together?